In December 2014, a friend of mine and ex-colleague called me up and said to meet her in Taiwan. She’s my confidant, so I said tell me what dates and I’ll be there as I was in Sri Lanka at the time. We made it work and I met up with her in Taipei, Taiwan. It was a fun trip as I just basically followed her around. She had things she wanted to do and it was great to catch up and explore with here. She also wanted to practice her Mandarin, so that worked well for both of us. I had no plans, so it was perfect. One of the things we did was head north on a train from the main station to see the lanterns. We actually had no set stop to get off, but got off at Shifen Station as we saw lots of lantern activity outside our train window. All along that track heading north there is lantern activity. We were fortunate enough to see a few them and its pretty amazing to see. This was my first time seeing these lanterns so I was like a kid in a candy store. 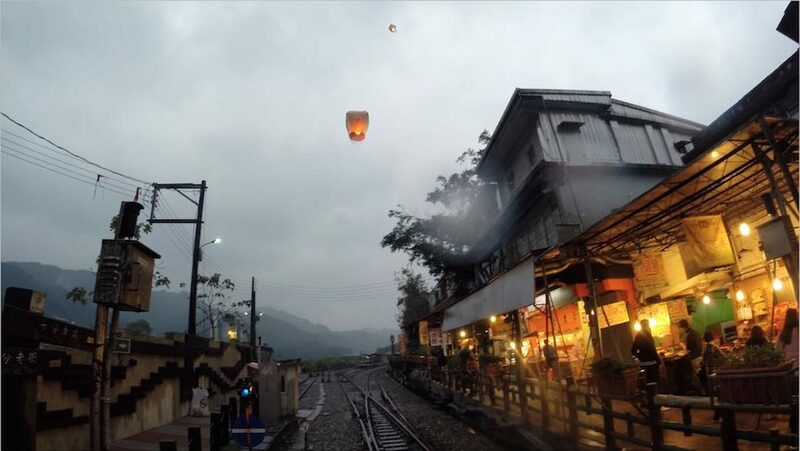 Well as it turns out, this is the small village of Pingxi, the home of one of the Sky Lantern Festival that is run concurrent with the Taiwan Lantern Festival, which in 2017, will be held in Yunlin County. So I got a preview of what they do each year in this village. I love it when I travel and stumble upon things. 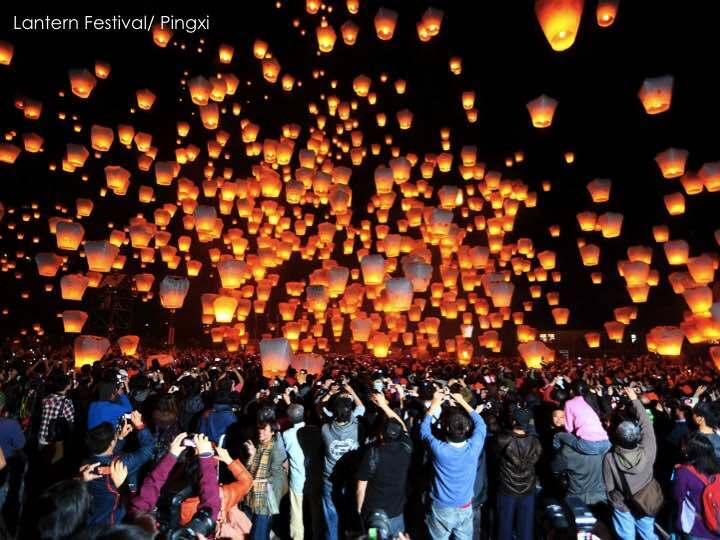 Incidentally, watching the Sky Lantern Festival in Pingxi is one of the recommended events of 2016 by National Geographic. 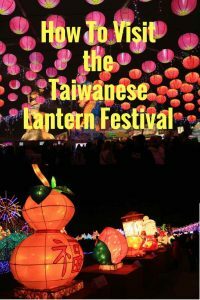 In 2017, the Taiwan Lantern Festival occurs from February 11-19 around the main station in Yunlin and also at the Beigang area not far away. 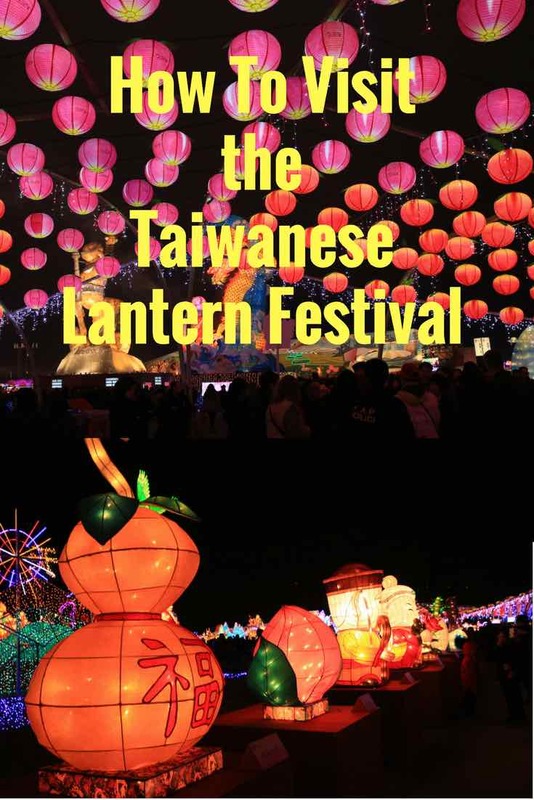 The Taiwan Lantern Festival is ushered in on the first full moon of the Chinese New Year. 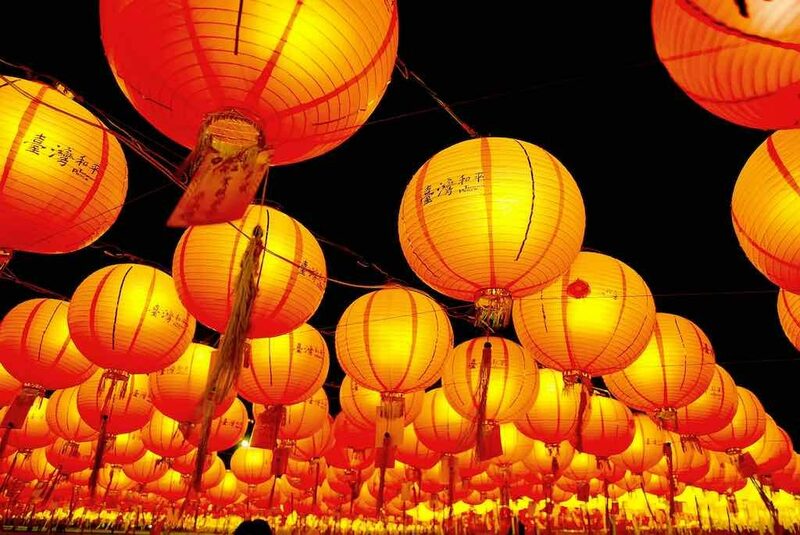 The Festival, also known as ‘Yuan Xiao Jie’ is celebrated with lanterns of course, firecrackers and light displays celebrating the end of the Lunar New Year. As 2017 is the Year of the Rooster and the main lantern is based on that year’s zodiac, you can count on seeing a huge rooster lantern. From what I saw at the Shifen Train Station, this is a spectacular event and I highly recommend that you visit. You may have to get a confirmed space ticket though from neighboring Hong Kong (several flights a day) as its a well attended festival. If you want to go nonstop from the U.S. China Airlines (CI), EVA Air (BR) and United Airlines will get you there. Delta Air Lines (DL) also flies from Tokyo-Narita (NRT). If you’d like to visit, I’ve compiled some facts to help you on your journey. – Language: Mandarin; English is spoken but not widely. You can still get around without issues though but know that you may have an issue in smaller towns. – Visa and Health Information: No visa is required for U.S. citizens traveling to Taiwan for stays of less than 90 days. You do need a valid passport for at least 180 days after your last date of travel as well as a ticket for onward journey. Also, ensure that you have at least one blank page for your entry stamp. Here is some additional information for U.S. Citizens. If you are not a U.S. citizen, use this link to check visa requirements. – Getting to the Festival: The easiest way is to take the Taiwan High Speed Rail from Taipei’s Taoyan Station to the Yunlin Station. It’s recommended that you buy your return ticket since it will be very crowded at the station on the way back. – National Airlines: China Airlines (CI), Daily Air (DA), EVA Air (BR), Far Eastern Air Transport (FE), Mandarin Airlines (AE), Tigerair Taiwan (IT) and Uni Air (B7). – Scheduled Service Airlines Serving Taiwan Taoyuan International Airport (TPE): Air Asia Zest (Z2), Air Canada (AC), Air China (CA), ANA (NH), Cathay Pacific Airways (CX), Cebu Pacific Air (5J), China Airlines (CI), China Eastern Airlines (MU), China Southern Airlines (CZ), Delta Air Lines (DL), Emirates (EK), EVA Airways (BR), Hainan Airlines (HU), Jetstar Asia (3K), KLM (KL), Korean Airline (KE), Mandarin Airlines (AE), Scoot (TZ), Shenzhen Airlines (ZN), Singapore Airlines (SQ), Spring Airlines (9C), Thai Airways (TG), Tiger Airways (TR), Uni Air (B7), United Airlines (UA) and Xiamen Air (XF). Check here for airline schedules. – Airport To The City: You can take a shuttle bus from the airport into the city. They go to different parts of the city so tell the agent at the desk where you are going and they will tell you which bus to take. Or take a taxi to Taiwan High Speed Rail Taoyuan Station and then take the high speed rail to Taipei Station. My recommendation would be to stay in Taipei and take the local transportation into Pingxi and Yunlin County. You can find hotel choices using TripAdvisor and/or Taiwan Stay. This post is brought to you by the Taiwan Tourist Bureau.